You could bet your bottom dollar that nearly everyone opposing the Dublin city centre transport plan drives into town and has a guaranteed off-street parking space, free of charge, to store his (or her) company car for the day before driving home to the suburbs. They don’t tend to cycle, and they walk as little as possible – usually a short distance between the car park and the office, or perhaps around the corner to some bistro or café. Thus, their perceptions of the city are largely derived from sitting behind the steering wheel of a car. 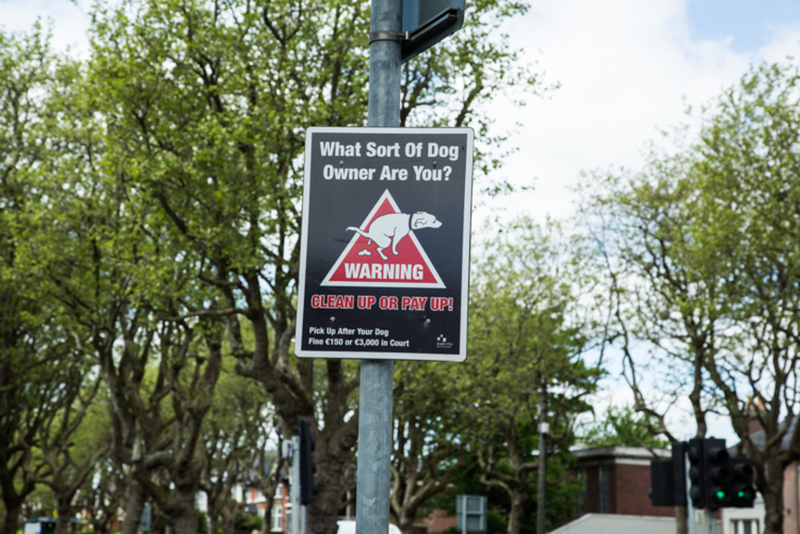 The Irish Parking Association, which represents the owners of multistorey car parks, has said that the plan to restrict car traffic “appears to ignore . . . the common sense fact that a car-borne customer of the city will not come in if they can’t park within a reasonable distance”. This “reasonable distance” amounts to “no more than 300 to 400 metres” from their final destination, the association claimed, citing unnamed “parking and traffic experts”. As a result, it argued, the proposed restrictions could reduce retail and entertainment revenue by 24 percent. The parking lobby commissioned a Red C survey of just over 1,000 shoppers in Grafton Street and Henry Street, which found that the car users accounted for 41 percent of retail revenue from “planned shoppers” in the city centre, spending an average of €134 per visit compared to €94 for bus and Luas users. 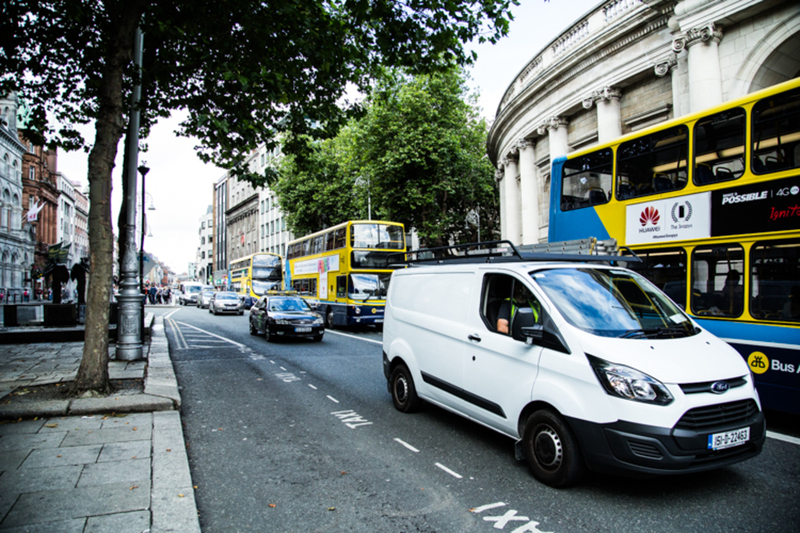 IPA President Keith Gavin told the Irish Times that the association “does not accept that making car access to the city centre more difficult will simply cause people to switch to other modes of transport”, and warned that they would travel elsewhere instead. The big fear factor is that, if Dublin City Council and the National Transport Authority pursue their plans to close College Green to through traffic, and restrictions are also imposed on the Liffey quays, car-borne shoppers would desert the city centre in favour of Dundrum. All of these findings were gleaned from what amounted to a vox pop survey of planned shoppers on two city-centre streets. Both the IPA and Red C were quite open about what questions were asked, how they were framed and what age groups were represented. The parking lobby’s experts claim that car-borne shoppers won’t walk more than 300 to 400 metres between where they park and some department store or other attraction. Yet it’s regarded as quite normal for public-transport users to walk 500 metres to a bus stop or station. 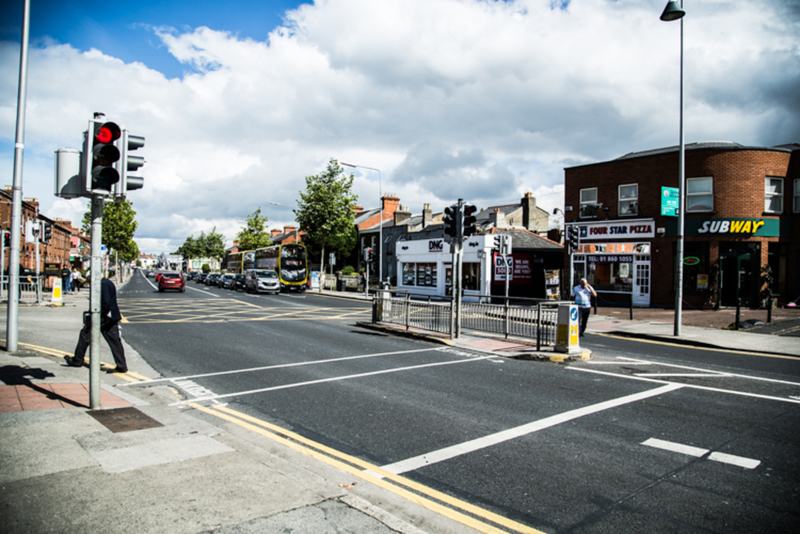 Fifteen years ago, when then traffic supremo Owen Keegan (now DCC’s chief executive) introduced bus lanes on the Stillorgan Road, the motoring lobby went bananas, with the likes of the Automobile Association’s Conor Faughnan warning of chaos. But it all worked out fine in the end. At issue here is a pathetic failure to imagine that positive change is possible. We used to think it was “normal” that nearly all of the State’s traded goods should be transported up and down the Liffey quays in juggernaut trucks. Then we built the Port Tunnel, and they vanished. Nobody knows what would happen after the quays are choked for through traffic, or where all of the 70,000 vehicles per day currently using this artery would go. 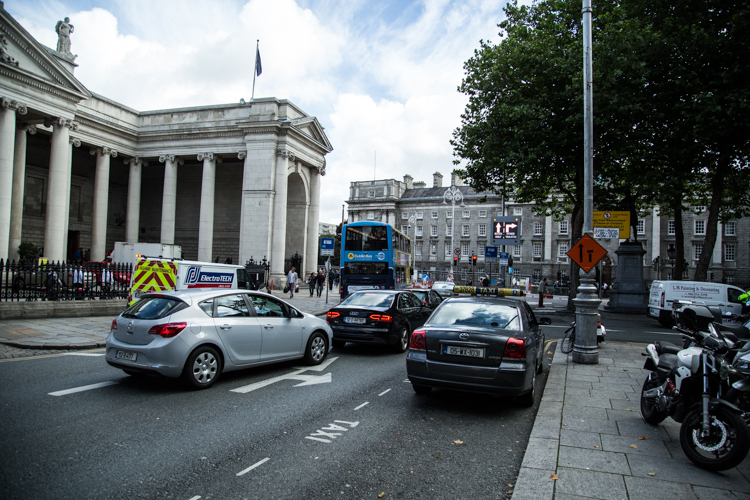 However, traffic tends to find its own level in any city, and there is no reason to believe that it won’t in Dublin. ontrary to claims made by the parking lobby and Retail Ireland (a division of employers’ group IBEC), it is simply not possible to improve the lot of pedestrians, cyclists and public transport without taking road space away from cars and reallocating it to these other road users. 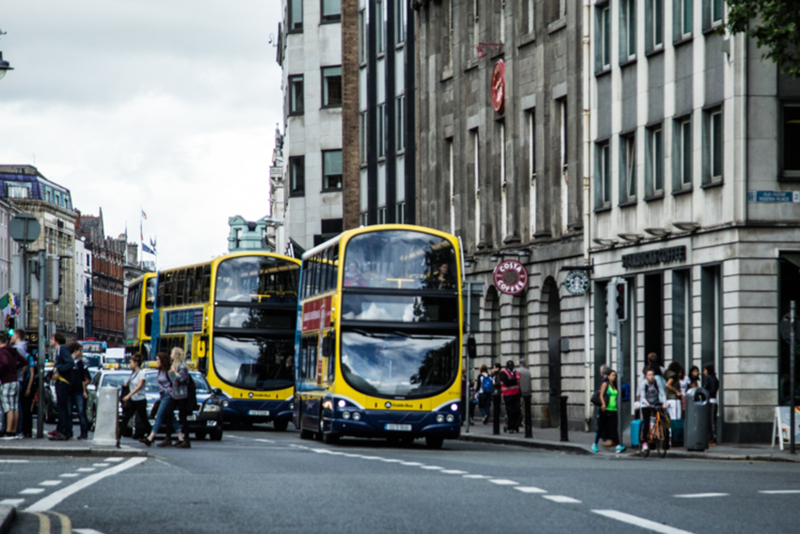 Proposals by opponents of the city centre transport plan for yet more studies and reports are simply a delaying tactic, to forestall its early implementation. These should be rejected by Dublin City Council and the National Transportation Authority, in view of the many, many expressions of support for what’s in the plan. With preparatory work well under way on the Luas Cross City line, city planners should be devoting themselves to drawing up a master plan for the redevelopment of Broombridge – replacing its largely derelict box-like industrial units with a vibrant new residential community. Cars have dominated Dublin for too long. We need to reclaim the streets. Most car journeys into the city centre are trips that could be easily made by public transport, walking, or cycling. Maybe the introduction of a congestion charge would encourage people to leave the car at home and jump on the bus. Great piece. The petrol heads moaning about this need to realise that it’s actually only a relatively small section of the city centre that will be affected; there will be plenty of alternative routes and parking. And a much greater amount of people will benefit than be disadvantaged. A fantastic and well written piece. Frank is spot on in what he states about Dublin City Center being given over for too long to he “Petrol Heads” and vehicular traffic. Perhaps the “Parking Lobby” and others who are against this plan and claiming that 10% of shoppers will flee to Dundrum and other out of town shopping centers, should bother their backsides to stop and consider the impact of the planned changes on the lives and daily travels of the almost 500,000 or more people who actually live in the City Centre (source: [http://www.cso.ie/en/statistics/p… "")) , who are forced to put up with the effects of those from the suburbs who insist on having their cars to get to work, go shopping etc. The bigger question is why Dublin has in the last few years been reduced to being about nothing else but shopping. The city seems to have turned into nothing more than a bland sprawling shopping center. People just rush from Henry Street to Grafton Street and then just get out of dodge ASAP. They might as well just put in an underground to JUST facilitate this alone. There is no sense of a living city anymore, if there ever was. Any character the city once had has been lost. Just walking around the city is a nightmare, so while kicking out the cars is a given in any city, they have a long was to go to make it pedestrian friendly and worth hanging around in. Some of us are old enough to remember the same debate when the pedestrianisation of Grafton Street was proposed – nobody would now recommend the return of traffic to that street, would they ? What is needed in conjunction with this plan is an intense Garda presence , especially at night and incentives for ‘over the shop’ residential schemes. 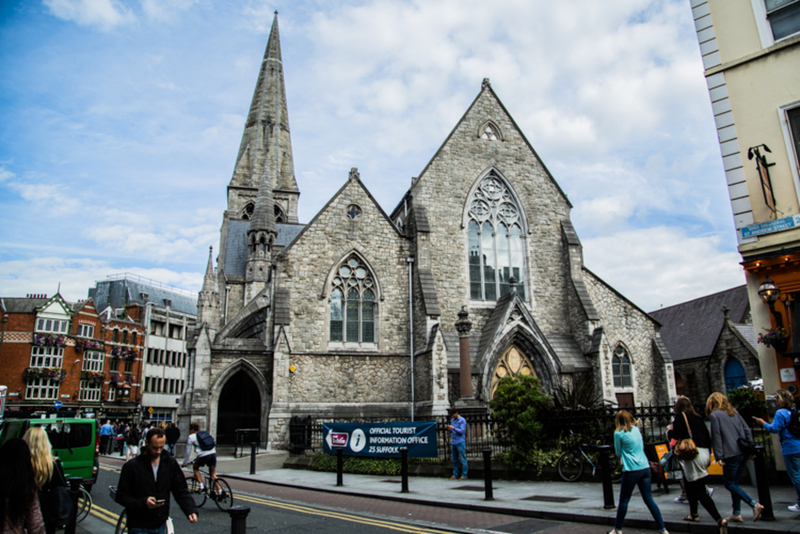 The pleasant atmosphere and the new shoppers it will attract will more than make up for the lazy car drivers who can’t imagine hopping on the Luas or taking a bike into town. They’re the ones who frequent suburban malls the most in the first place. 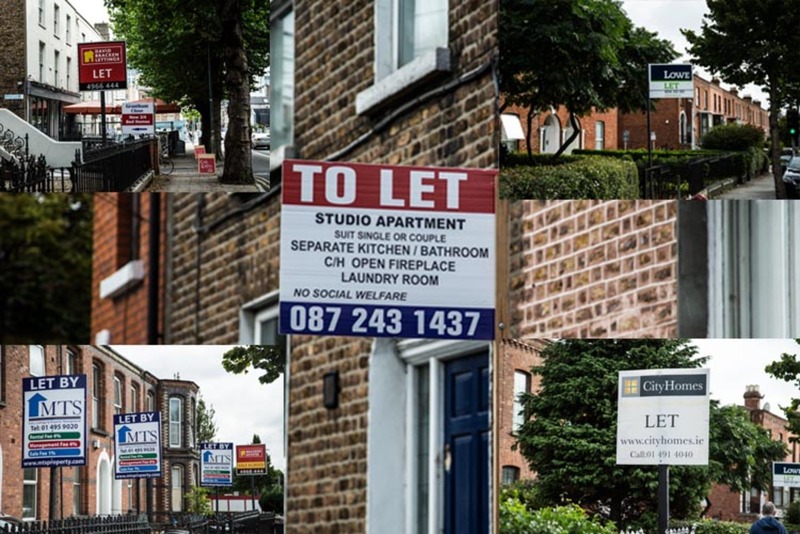 Would Increasing the Rent Supplement Increase Rents?